A Lake District rescue team needed a French interpreter after a walker fell and injured himself. 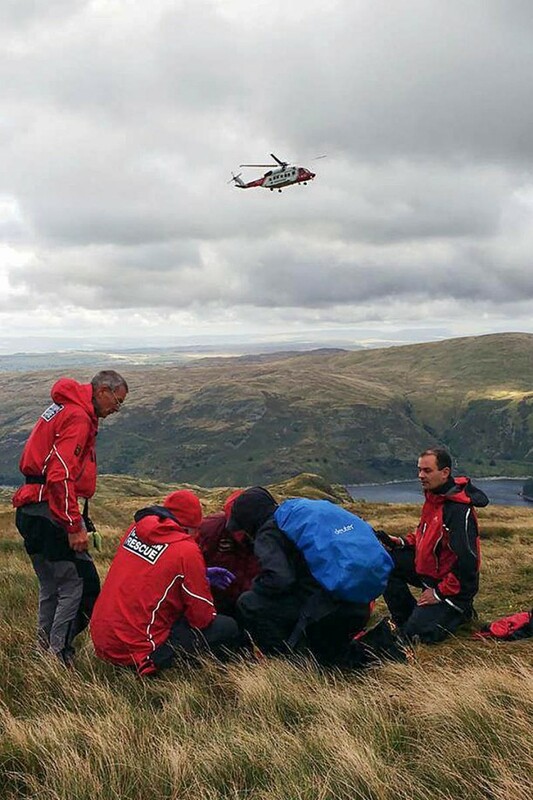 The man from France suffered a suspected broken leg in the incident near Kidsty Pike above Haweswater. He was with a group attempting the Coast to Coast Walk. Penrith Mountain Rescue Team was called out and asked for help from colleagues from the Kirkby Stephen team, anticipating a potential long stretcher carry from the fell. A Penrith MRT spokesperson said: “Unfortunately, the casualty spoke no English at all, but a friend was able to translate for us. The four-hour rescue involved nine Penrith and nine Kirkby Stephen team volunteers. The Penrith team was in action again 90 minutes later to help ambulance crew members with an incident at Lowther Caravan Park near Penrith. The spokesperson said: “The casualty had slipped down a bank while walking her dog and had fractured her leg. The 1½-hour rescue involved 13 Penrith MRT members.